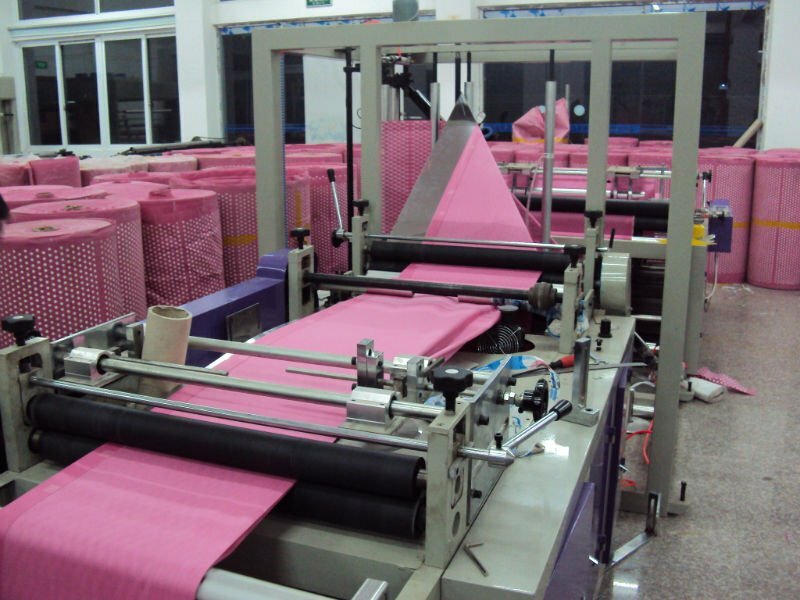 We are offering the latest Automatic Non Woven Cutting Machine and Woven Fabric Cutting Machine to our customers. The offered machines are extensively used for cutting woven sacks in various industries. Owing to their robust and vibration free structure, high cutting speed and easy operation properties, the offered machines are much appreciated among the customers. Moreover, these machines are automatic and require less man power. We are successfully ranked as the top manufacturer and exporter of Fully Auto Woven Sack Cutting Machine. The entire range is manufactured under the supervision of our quality controllers using high quality components and advanced technology. Digital size setting is provided with no. of Bag counting & Batch counting facility. High Production speed of 55 mtr./min. Self centring pen holder ensures quick changes and accuracy with all marker types.